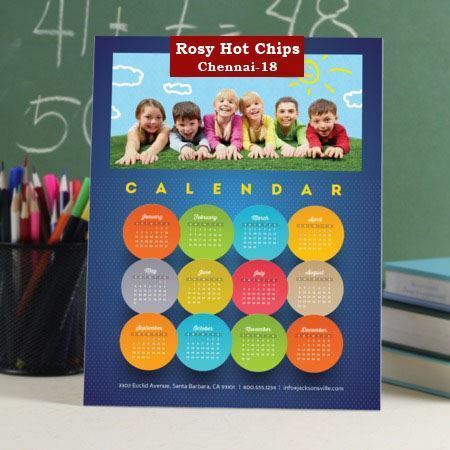 100 GSM Real Art Paper calendar printing. Business advertisement pinted in multi colour, Photo quality printing. Photo Calendar printing availabe in bigger size. Calendar size 13" X 19"(Width x Height), advertisement space size, full calendar you can advertise you photo, product photos etc. All Indian Holidays are listed, Major religious and bank holidays are listed. you can personalize to your organizations or events. Party's advertisment is printed in multi colour pirnting at free of cost. Minimum order quantity is 50 calendars. Order shipping lead time is maximum of 4-8 business working days. Upload the party's advertisment to get printed on calandar, uploaded advertisement size should be 12.5" x 18.5". Article is trimmed off if exceeds the mentioned size,. We will design your advertisment for you at free of cost, if you don't have your advertisement/Calendar. Please do not hestitate to order. Two time e-proof is absolutly free.